PortMiami had another strong year in 2016, coming close to hitting the 5 million multi-day passenger mark. The port’s latest cruise season set a world record in cruise passenger traffic with 4.98 million multi-day passengers, a 1.5% increase from the previous year. The numbers follow the port’s tradition of annual increases in passenger numbers. 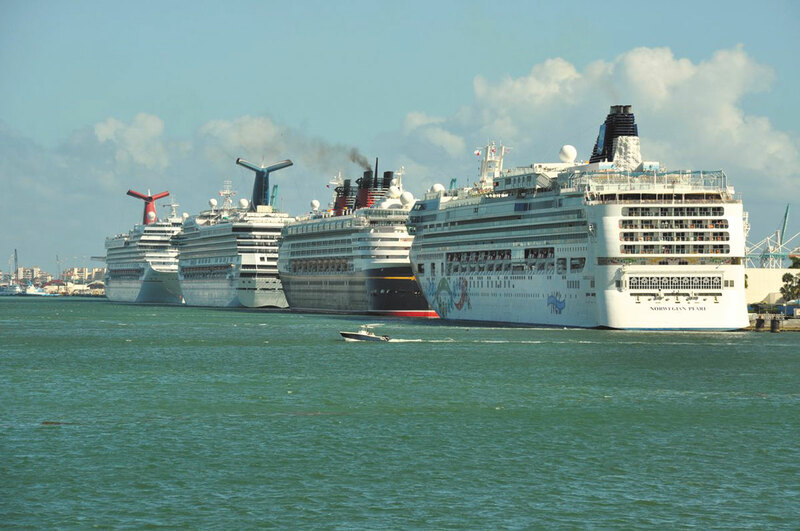 In 2015, PortMiami processed 4.91 million multi-day passengers – also more than any other port in the world at the time. The year before, the port saw 4.77 million multi-day passengers. Passengers are counted when boarding and again when departing, meaning that almost 2.5 million individuals took multi-day cruises through the port last year. The most recent cruise season welcomed Norwegian Cruise Line’s new build ship the Escape, Aida Cruise Line’s Aida Mar, Aida Vita and the Aida Diva, Carnival Cruise Lines’ Splendor, and Royal Caribbean’s Empress of the Seas. December alone saw the port welcome two additional new-build ships – Carnival Cruise Lines’ Vista and Regent Seven Seas’ Explorer. In 2015, “We were recently honored by the industry with the 2017 Best US Port Award – a ranking for going above and beyond in customer service, quality operations, and all around excellence,” said PortMiami director Juan Kuryla in an emailed statement. These new ships include the MSC Seaside, scheduled to arrive later this year, and the Norwegian Bliss, scheduled to arrive in 2018. The port last year entered a public-private partnership with Royal Caribbean Cruises for the construction of a roughly $200 million brand new cruise terminal that will accommodate the cruise line’s biggest ships, including its Oasis class. PortMiami is among America’s busiest ports and recognized as a global gateway. It contributes more than $27 billion annually to Miami-Dade County.